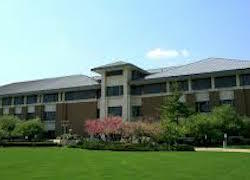 I was successful in expunging my client's Retail Theft case in DuPage County. The Petition was approved even though my client had another pending Petition to Expunge in Cook County for another Retail Theft case. With the record expunged, the State police, the arresting agency and the Clerk of Court must destroy their records. My client will now be able to move on with her life with her arrest record permanently destroyed. My client was charged with a second DUI. He was arrested after the State police noticed that my client had parked on the expressway. My client complied with all the tests at the scene and also took the breathalyzer test. He failed all the tests, and his alcohol level was almost twice the legal amount. The Secretary of State then suspended his driver's license. I filed a Petition to Rescind the Summary Suspension so my client could drive again. There are very specific requirements when a Petition to Rescind is filed and if the State doesn't comply with them, you can get your license back if you have a pending DUI. The Court granted my Petition to Rescind and my client was free to drive again. My client, having done prison time for a previous Domestic Battery conviction while being represented by another attorney, was charged with Felony Domestic Battery since it was his second Domestic Battery case. After reviewing all the documents and police reports, I submitted a detailed mitigation packet to the State while pointing out the weakness in their case. The State agreed and offered to reduce the felony Domestic Battery to a misdemeanor. Such a reduction is significant because my client is not a US citizen and a felony conviction would increase the likelihood of deportation. My client fell asleep at the wheel while parked at a public street. The police knocked on his window, but he was unresponsive. He was tired because he was working long hours. When he eventually exited the vehicle; the police noticed a gun which was loaded on the driver's seat and an empty bottle of Hennessy in the back seat. Although my client had a FOID card, he was arrested and indicted for felony Unlawful Use of a Weapon (UUW) because he did not have a Conceal and Carry license. The State was clearly overcharging my client. After all, he had a FOID and a clean record. After submitting a mitigation packet to the State and speaking to a Supervisor at the State's Attorney's office, the case was reduced to a misdemeanor. That means that case will be dismissed and be eligible for expungement. My client, a high-level government employee, had a mental lapse. He left work for lunch but instead of returning to work, he purchased alcohol and started driving around. At some point, he parked his car in the back yard of a women's house whom he did not know. After he consumed all the alcohol, he walked up to the house and tried to enter through the screen doors by trying to open them. He then started asking the women inside the house to open the door. He thought he was at his house and the women inside was his wife. As you can imagine, the State was not in the mood to offer leniency. After I reviewed the case, I submitted a mitigation packet outlining all of the great things my client had accomplished, including a noteworthy military career. I also submitted medical tests to show that my client was mentally fit. The State agreed with my reasoning that my client lacked the mental intent to commit Criminal Trespass to Property. Thus, my client was paced on Court supervision just for the Disorderly Conduct. The trespass charge was dismissed. Court supervision is not a conviction, and the case will be dismissed and expunged. By dismissing the more serious charge of Criminal Trespass to Property, it created a huge benefit for my client because it would have affected my client's security clearance had he been convicted or plead guilty. He now can move on with his life without fear of losing his high-paying government job. I was successful in sealing my client's 2006 Retail Theft conviction over the objection of the DuPage County State's Attorney. My client is 52 years old and wants to re-enter the workforce. With her previous conviction, she has been unable to get a job. She waited over ten years to file for sealing because she was told by other attorneys that it couldn't be done. Once I evaluated her case, it was clear that her records were eligible for sealing. Now she can apply for a job and not have to worry about her past - a big relief. My client was arrested at a local store for Retail Theft on Thursday afternoon. She was taken to the local police station and was charged with a Felony Retail Theft and informed that she would have to spend the night in jail and be taken to court for a bond hearing the next day. Her husband came to my office on Thursday evening and hired me to represent her. I appeared with her the next day for the bond hearing and met the client in the lock up next to the courtroom. Her case was called and when we stepped up the court conducted a bond hearing. The State presented their argument as to why a high bond should be set and I presented my argument as to why client should be released and why she presented a low risk of committing another crime, her ties to the community, her employment history, here family history and her character. The judge agreed with me and agreed to release my client with an I-Bond in which no money needed to be posted. The client was released after the bond hearing to her husband and was able to go home to her family. I was able to get Court Supervision for a client charged with Violation of an Order of Protection in DuPage County in spite of the ex-wife (victim) and the ex-father in law appearing at each court date and insisting that the prosecutor get a conviction and not give our client a break. In December of last year, the victim had obtained an Order of Protection which barred out client from having any contact with her. Shortly after our client was served with the Order of Protection, he contacted the victim’s father demanding that he pass along certain information regarding legal proceedings involving them. He also posted comments on her Facebook page, all in violation of the Order of Protection. When I first discussed working out a resolution to the case. the prosecutor informed me that she was unable to offer anything other than a conviction and jail time because the victim and her father would not agree to anything less. I began a long process of convincing the prosecutor’s office that our client deserved a break and was able to convince the States Attorneys office to agree to Court Supervision. Our client has been Honorably Discharged by the U.S. Navy having served our country in Iraq and had 2 Purple Hearts. The injuries left our client with some pretty serious injuries which required monthly treatment and daily medication. Faced with this evidence the prosecutor agreed to Court Supervision in spite of the victim’s objection. This will allow our client to eventually expunge this criminal matter if he successfully complies with the terms of his Court Supervision. In June, 2015, my client was sentenced to Conditional Discharge in DuPage County for a Retail Theft. He was ordered to complete the Sheriff’s Work Alternative Program (SWAP), stay out of the store that he plead guilty to trying to steal from, and pay all his fines, fees, and court costs. The client contacted me in March, 2016 and and informed me that he had found a job in Arizona and wanted to move there to live with his daughter. But the terms of his Conditional Discharge did not allow him to move from Illinois while he was on Conditional Discharge. His Conditional Discharge was not scheduled to end until June 10, 2016. We prepared a Motion to request that his Conditional Sentence be terminated early. We had the client obtain a letter from the Sheriff indicating that he completed his SWAP hours and a receipt showing that he had paid all his fines, fees, and costs and proof of his new job in Arizona. We filed the Motion, served copies of the Motion upon the DuPage County States Attorneys office and appeared in court this morning. The Court terminated the client’s Conditional Discharge today allowing him to move to Arizona so he can go on with his life and be with his daughter. My client was caught at the self scan check-out at a Walmart not scanning all the items in his cart. He was caught in the parking lot by store security and brought back into the store. The police were called and he was charged with a Retail Theft in DuPage County. My client has a Green Card and has just begun the process of trying to become a U.S. Citizen. A plea of guilty to a Retail Theft would not only destroy any chances of becoming a U.S. Citizen, but it may also cause him to lose his Green Card. The Immigration consequences for my client were severe. I appeared with my client in DuPage County and ws able to persuade the prosecutor to reduce the charges to a Disorderly Conduct and make the matter a Municipal Violation with a fine of $250. My client was arrested by the police and charged with Possession with Intent to Deliver when they seized almost 2 pounds of marijuana and approximately 120 grams of mushrooms from the motor vehicle he was driving. I appeared at the bond hearing for him and the Court set a $10,000 cash bond. The prosecutor filed a petition for Source of Funds requiring that he prove that the money that would be posted for the bond was not drug money. The case was transferred to the Maywood Courthouse for further proceedings. I met with the family of the client and his friends and prepared a Petition to request a hearing to prove that the Source of Bond money was legally obtained money. I prepared affidavits, obtained bank records, tax statements and other supporting documents to show that the two individuals who would be posting the bond owned their own businesses and had legitimate sources of income. At a hearing that lasted two days, I presented live testimony and the supporting documents to convince the Court to grant our Petition to allow the bond to be posted. The bond was posted the same day and my client was released from jail that evening. The client is now able to go back to work and assist us as we come up with a strategy to defend him from the criminal charges he is facing. Client gets Probation, No Jail Time for Auto Burglary and Retail Theft Cases! My client had plead guilty and received probation for approximately 7 cases. 4 of the cases involved Burglaries to Autos in the northwest suburbs. The cases received media attention. The other 3 cases involved Thefts at a local grocery store that occurred while the client was on bond for the Burglary to Auto cases. He was caught on surveillance video walking out of the supermarkets with top shelf liquor in his cart without paying for the liquor. He plead guilty to all the cases and received a concurrent sentence of probation. The client had a drug problem which was the cause of the criminal conduct. As part of his probation he was required to receive drug treatment. About a year after he was sentenced to probation I received a phone call from his sister informing me that the client had been arrested on a new case and that the prosecutor was filing a Petition to Revoke his probation on all the cases. But instead of hiring me to represent him, the sister decided to let the Public Defender handle the cases. About 4 months later, the client’s sister called me back and informed me that the client was still in jail and requested that I represent him. I appeared in Skokie for him a couple of days later. I was able to talk to the judge, prosecutor and probation officer, and by the end of the morning, my client had been released from jail and reinstated to his probation. We had a couple of more court dates and this morning, the judge fully released him back to probation and my client does not have to go back to court until the termination date of his probation. Since his release from jail, my client married his girlfriend and obtained a full time job. He is receiving the drug treatment he desperately needed and instead of sitting in jail he is working, paying taxes, and is a productive member of society. My client was at a bar near Wrigley Field at the end of the baseball season and was asked to leave by a bouncer after he got into an argument with another patron of the bar. My client refused to leave after being repeatedly asked to leave. The police were called and arrested my client and charged him with Criminal Trespass. My client owns his own business in the Loop and sits on the Board of Directors for another corporation. A conviction for Criminal Trespass would have seriously damaged my client’s reputation and done immense monetary damage to him. I appeared at Belmont and Western with several witnesses, ready to go to trial. The state was unable to proceed with their case and dismissed the charges against my client. We will now expunge the case and nobody will ever find out about it. My client had gone through a messy divorce about 5 years ago. She had custody of 2 high school age children and her ex-husband was ordered to pay monthly child support for both children. After several years of living in apartment buildings, my client was able to save enough money and buy her first home. A couple of months after she purchased the house her ex-husband went back to court and was able to get a substantial reduction in his child support payments. As a result, my client had to get a second job working part-time at a major retailer in Schaumburg. She was arrested by store security after she was caught stealing store gift cards for small sums of money. When she was confronted by security she told them that she was committing the thefts so she could buy food for her children. As a result of her confession, she was arrested and charged with Theft. 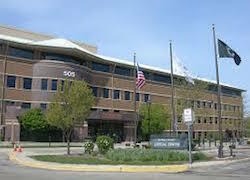 I appeared in Rolling Meadows for the misdemeanor Theft case and was able to persuade the prosecutor to allow my client to sign up for the Theft Deterrent Program, complete 40 hours of community service, and come back to court early next week with proof that she completed all that was required and the case would be dismissed. Once the case is dismissed we will expunge the case so that nobody could ever find out about the theft charges. Our client is employed full time and if her employer finds out about the criminal charges, she believes she would be fired. Needless to say, the potential consequences faced by our client were devastating. Our client who is a licensed Illinois nurse and living in the US on a green card was arrested for Retail Theft. A conviction for Retail Theft could trigger deportation or other immigration consequences. Further, a conviction could raise licensing issues with the Illinois Department of Financial Professional Regulation that licenses nurses. There was a lot at stake. Attorney John Ioakimidis represented our client, and the case was dismissed. We will now move forward and expunge the arrest record and erase the case from the public domain. Our client was very happy – not only will she keep her nursing license, but she will not have to worry about getting deported. Handling criminal cases for immigrants requires a criminal defense attorney who understands the immigration consequences of criminal cases. On September 11, 2015 , the attorneys, James G. Dimeas and John D. Ioakimidis, were successful in vacating a conviction for a Misdemeanor Unlawful Use of Weapon (UUW) conviction from 2006 at the Skokie Courthouse in the Circuit Court of Cook County. On August 27, 2005 , our client was pulled over by the Chicago Police for a traffic violation. After the officer made contact with our client he suspected that our client had been driving under the influence of alcohol and requested that he exit his vehicle. After our client exited his vehicle the police officer observed a gun on the passenger side of the vehicle and placed our client under arrest. The officer recovered a loaded nickel finished .44 Magnum revolver from the passenger seat of the vehicle. our client was arrested and charged with Driving Under the Influence of Alcohol (DUI) and a Class 4 Felony of Aggravated Unlawful Use of Weapon (AggUUW). On August 22, 2006 our client plead guilty to Misdemeanor Aggravated Unlawful Use of Weapon (UUW) and was sentenced to one year of Misdemeanor Probation and 126 hours of Community Service. The state agreed to reduce the charge from a felony to a misdemeanor because our client had a valid Firearm Owners Identification (FOID) Card. Our client still has a valid FOID card. On May 6, 2015, attorneys James G. Dimeas and John D. Ioakimidis of John D. Ioakimidis, filed a Motion to Vacate the guilty plea and to ask the court to throw out their client’s conviction. In the past few years, numerous State and Federal courts have issued decisions in court cases that have opened the doors to the courthouse for people who have convictions for gun cases on their record to have their cases reopened and have their convictions thrown out. In 2012 the Seventh Circuit Federal Court ruled that the Illinois gun law, which made it illegal to possess a gun outside the home, was unconstitutional. About a year later the Illinois Supreme Court agreed with the Seventh Circuit Court of Appeals and also ruled that the Class 4 Illinois UUW statute was unconstitutional. But the courts did not address the constitutionality of the misdemeanor portion of the Illinois UUW statute. In February of this year, the Illinois Supreme Court released a decision which made it clear that the misdemeanor charge of UUW was also unconstitutional. Armed with these legal rulings, attorneys Dimeas and Ioakimidis sought to vacate their client’s 2006 Misdemeanor UUW conviction. The case was reopened, legal briefs were filed, the State fought their efforts but on September 11, 2015 the Court agreed with attorneys Dimeas and Ioakimidis and ordered that the guilty plea to the misdemeanor UUW charge on August 22, 2006 be thrown out. Attorneys Dimeas and Ioakimidis have been challenging convictions under the Illinois UUW statute since the 7th Circuit Court of Appeals ruling in 2012. At first their efforts were greeted with scorn from Judges and Prosecutors. Yet, attorneys Dimeas and Ioakimidis continued filing motions and challenging convictions under a law that had been declared unconstitutional. In 2014 they were successful in having a misdemeanor UUW conviction from 2010 thrown at the Bridgeview Courthouse when the court ruled that the plea was defective because when the plea was taken, there was no factual basis to sustain a conviction. The arguments that attorneys Dimeas and Ioakimidis have have been making since 2012 have been proven to be correct and have now been adopted by the Courts. Attorneys Dimeas and Ioakimidis have been among the leading attorneys when it comes to challenging the Illinois gun laws and removing convictions from records. It may be possible to have your UUW conviction thrown out and removed from your record. If you want to remove a UUW conviction from your record, give attorneys James G. Dimeas and John D. Ioakimidis a call. They can be reached at 312-229-5500, 312-593-1769, 312-593-1765 or toll free at 1-800-228-7295. My client, a resident of Wisconsin, was pulled over by the Illinois State Police for speeding in Kane County Illinois with his ex-wife in the front passenger seat and their 2 minor children in the back seat. My client and his ex-wife were taking the children to the Shedd Aquarium in Chicago. When the trooper ran our client’s name on his computer, he discovered that there was an active Order of Protection out of Wisconsin which prohibited my client from having any contact with his ex-wife, except to discuss child support a child custody issues on the phone. The police arrested my client and charged him with Violation of an Order of Protection. I appeared in Court for my client yesterday and talked to him in the lock up. He informed me that the Order of Protection was amended in August of 2014 when the divorce was finalized to allow him to be with his ex-wife for any events or trips involving the minor children. The prosecutor did not have the police reports or the Order of Protection in his file. A nominal bond had been set by the Court which also required that a GPS tracking device be placed on our client in the event that bond was posted and he was released from jail. This made it impossible for our client to be released, even though his family had the funds to post the nominal bond, because he lived in Wisconsin and had no residence in Illinois to allow for the GPS device. The state was unwilling to agree to us asking the court to amend the conditions of his bond because we needed to prepare a written motion and provide at least 3 days notice. This was a Friday and the client would be fired if he did not go to work on Monday morning. The case was continued for 2 weeks for the prosecutor to obtain the police reports and the Order of Protection. Upon leaving court I spoke to the client’s mother in Wisconsin and had her go to the local courthouse and obtain a copy of the Amended Order of Protectio. She faxed me a copy of the Order of Protection. The Amended Order of Protection allowed my client to be in the presence of his ex-wife as long as they were doing things with the minor children. I emailed and faxed a copy of the Amended Order of Protection to the prosecutor in Kane County. Later in the afternoon the prosecutor called and agreed to allow the court to remove the GPS requirement. I dropped everything and drove back to Kane County and the Sheriff brought my client back to Court before Court ended for the day and the Judge signed an Order removing the GPS requirement. The client’s family posted the bond and my client was released that evening. He can go back to work on Monday and will not lose his job. My client was facing serious Theft charges in DuPage County. The prosecutor was alleging that my client, while employed at a bank, moved money from one bank account from a customer he was related to into another account that he had control over and withdrew the money without the permission of the family friend. The state claimed that he stole about $3,000 from the friend's bank account. The state was unwilling to negotiate a deal so the case was set for trial and the state had to dismiss the charges against my client when they realized they did not have the evidence needed to prove that my client was guilty of the Theft. My client has since started his own thriving business in Schaumburg. A conviction for a Theft would have made it impossible for him to start his own business. I am glad that I was able to save my client from a life changing event. Kane County IL Courthouse. My client was placed on 48 months of felony probation for an Aggravated DUI in Kane County. His probation was scheduled to terminate in November of this year. My client had obtained a good job in Colorado and was able to have his probation transferred to Colorado. However, in order to continue to work in Colorado he was required to obtain a work permit from the Probation Department in Kane County every 45 days. In order to get the work permit he was required to travel to Illinois and physically appear at the probation office. Needless to say this caused an incredible hardship on our client. He is also dealing with some serious health issues which required intensive medical treatment. The client contacted us asking if we could help him. After speaking to him I immediately contacted the Probation Department and had them notify the Kane County States Attorneys Office that he had complied with all the terms of his probation and immediately filed a Motion to Terminate his Probation early. I appeared in court in Kane County yesterday and my motion was granted and my client's probation was terminated successfully. My client left for Colorado yesterday and his case is now finished and he no longer has to travel back to Illinois to obtain a work permit. My 19 year old client was working as a cashier at a major retailer just outside of Chicago. His employer noticed that he was under-ringing items at the cash register. The amount of the items was almost $1,000 making the Retail Theft a Class 4 Felony. 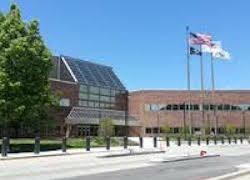 My client was arrested and had to appear for a felony Retail Theft charge in the Skokie Courthouse in Cook County. My client had no criminal record and had made a mistake by doing something that he should not have done. The employer had surveillance video of the transactions and a detailed confession written and signed by my client. Recognizing that the state had a strong case against my client, I put together a mitigation packet containing letters of recommendation, school report cards and other material in an effort to convince the Cook County States Attorney to cut our client a break. Yesterday, I appeared in Skokie with the client and was successful in having my client placed into the Deferred Prosecution Program. If my client successfully completes the requirements of the program, the charges will be dismissed and his criminal record will remain clean. After he successfully completes the Deferred Prosecution Program, we can expunge the entire case so it never follows him around and will not keep him from getting a job.